Major League Gaming (MLG) and renowned gaming peripherals manufacturer, SteelSeries recently announced a new Sensei MLG Edition Gaming Mouse which will be available starting August this year. Attendees at the MLG Spring Championship in Anaheim, California, from June 8th to June 10th, will get a preview of the upcoming mouse and will also be able to pre-order it as well. The MSRP for the mouse is expected at $99.99, which is $10 more than the standard, non-licensed edition of the Sensei. Spec-wise, this mouse will be the official, licensed mouse for MLG and key features will include a 32-bit ARM processor that allows for advanced SteelSeries ExactTech calculations to be done directly on the mouse, easy driver-less setup at tournament computers via an on mouse LCD display and menu, and a new premium-quality sensor, which increases the CPI to 8,200 or 16,400 DCPI. 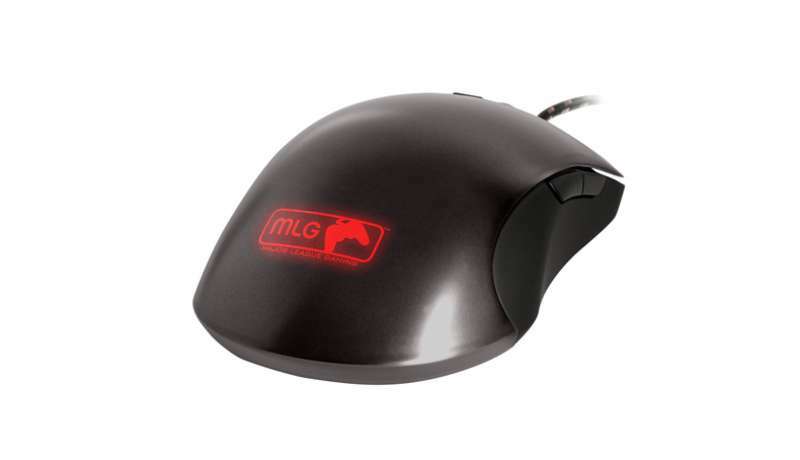 The Sensei MLG Edition Gaming Mouse will be compatible for both PC and Mac users and similar to the standard Sensei, it feature an ambidextrous design with a non-slip grip coating, three areas of illumination with 16.8 million color options to choose from, and 4 levels of illumination/pulsation. The mouse can be modified even further through using the SteelSeries Engine software suite, while allows for multiple layers of customization and extended programmability. For more information, hit the jump below.